Being forced to make money for the very people who’ve oppressed you and held you captive is a very heinous crime, and when you’ve done this to Jesus as well, then he knows what it is like to be a Tibetan- suffering just the same. This crystal pendant of Jesus was sold to me as “new without tags”. 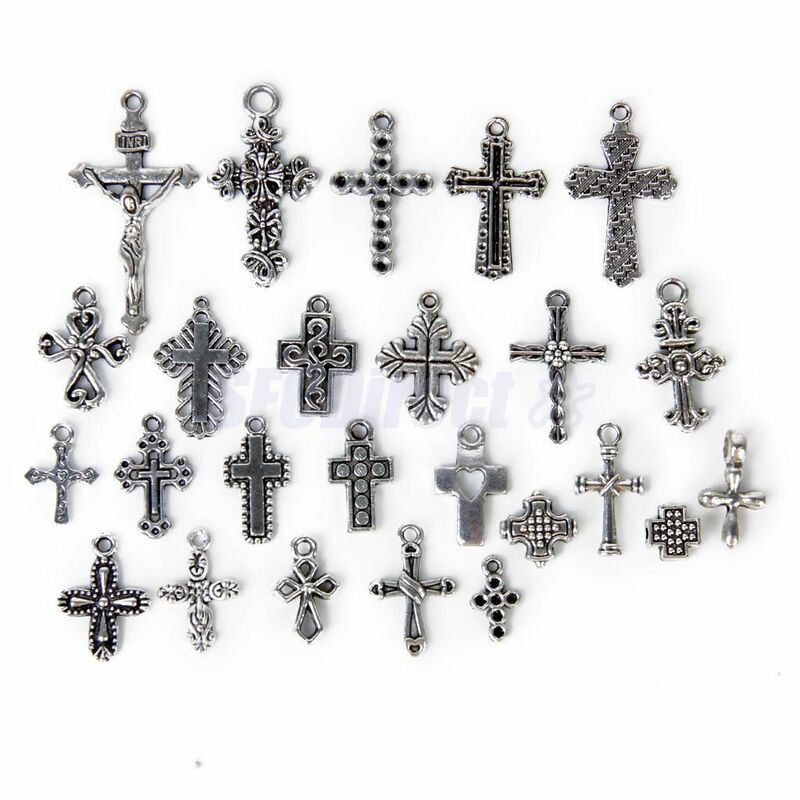 At the time I bought a number of similar crystal pendants with gold motifs in the center, every single one of these was used, no matter what the design. This on happened to be cracked even. I complained that it was used and sent this photo, at which point the seller blocked me from buying from them. Never did get a refund- see The Black List for more details on this seller and many more like them who continue to get away with lying and cheating, let alone stealing and aiding and abetting murder. Back of the crucifixion pendant shown above which clearly shows scuffs and scratches from previous use and ownership. Not “new without tags”, but true evil, that smiles at you, while robbing people of their lives and things while taking your money. 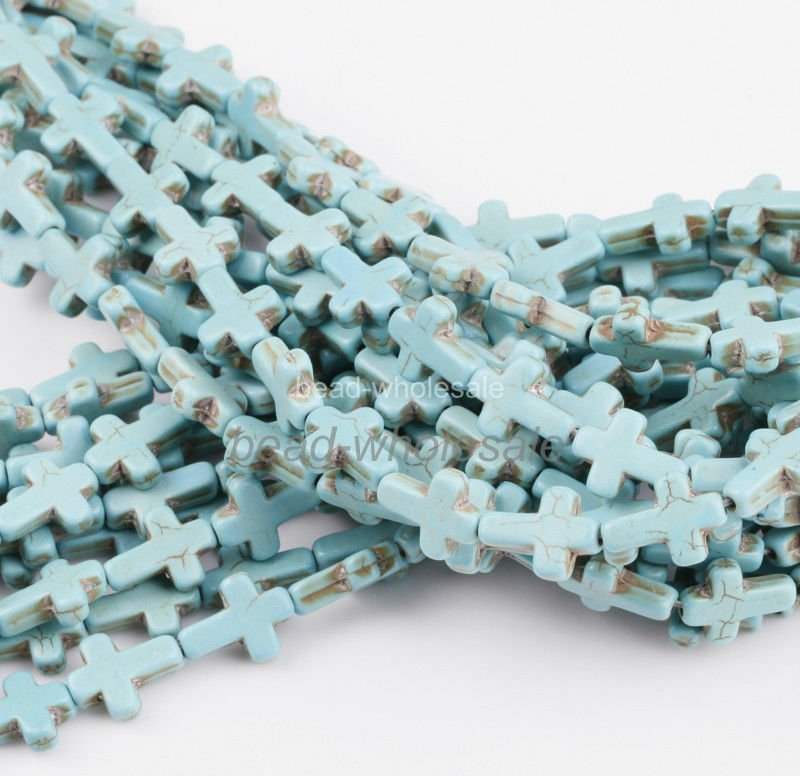 There are tons of these turquoise cross beads being wholesaled, all sold as new, but all are obviously used. Even though these are obviously very worn and very dirty, Ebay sellers are allowed to lie, cheat and steal without any deterrents, and most customers have absolutely no idea apparently these are used. Statistically speaking that sure is a whole lot of people who are completely oblivious, or at least certainly wouldn’t stand up and speak out about the deceit. More of the same crosses, still used, still being lied about and sold as new. Obviously used- even in the seller’s photograph, but this hasn’t prevented 1,325 of them being sold as of July 2015 just by this seller alone. Tibetans are a people long in need of something to believe in and some of the devoutest followers of such as evidenced by the number of crosses found in communist hands today. Often the sellers use multiple aliases to sell the exact same items, creating the illusion of a free market as well as often flooding the market with multiple listings. This I’ve verified multiple times when receiving packages from the same address from different shops. 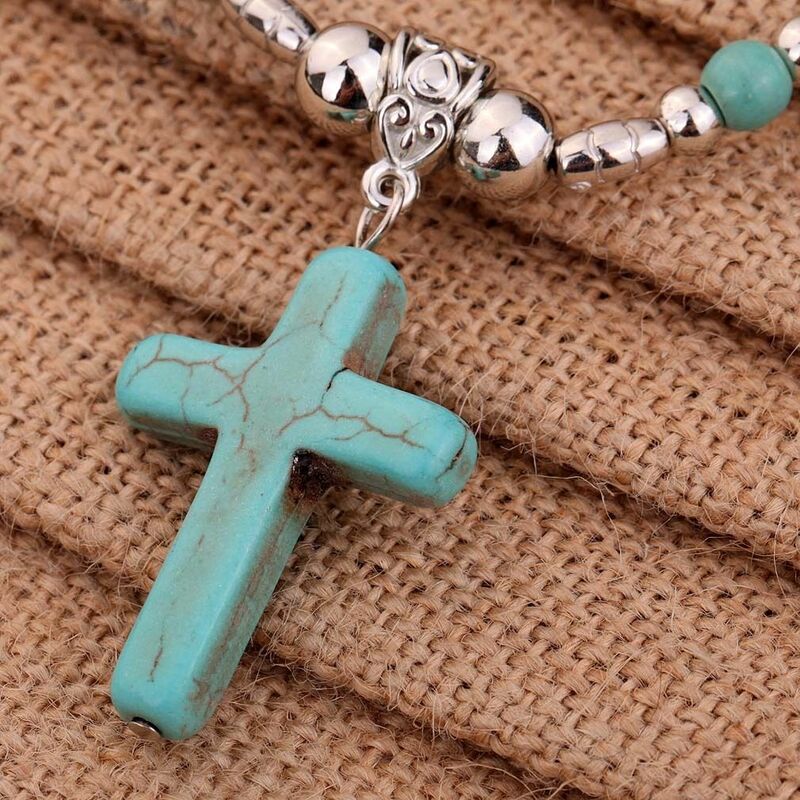 The first two shops above that are selling the exact same crosses using the same photos have very similar names as well- with an “hk” and a “haim” in both. HK is an acronym for Hong Kong, yet another dealer not at all Tibetan with loads of used Tibetan goods who also lies about them, saying they are brand new. Though many of these are made from questionable material and may be a treated stone of even glass instead of jade, they were real to the people who wore them prior to their confiscations and subsequent sale by the Chinese Communists. Yet another jade cross that appears to be pretty obviously worn before- dirt around figure and the worn hands are particularly telling, but being sold as brand new once again. It wouldn’t be that worrisome if it were only one cross or only one seller, but it appears that not once did Chinese sellers lie about items being brand new that weren’t but every single time, 1,000’s and 1,000’s of times. You can’t find a newly carved cross from China on Ebay. At all. Though many sellers would lie just to sell you something that isn’t even theirs. 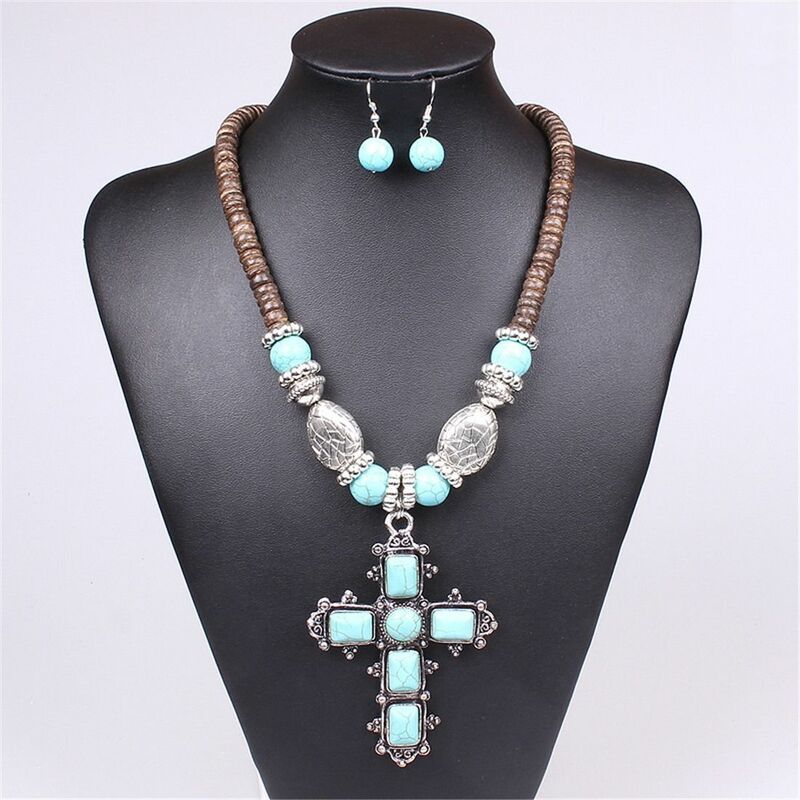 Characterized by the addition of skulls, there are no other rosaries like these in the world. All of them are being sold as brand new, though there is ample evidence using the seller’s photographs that this is a lie. Though these rosaries are sold as “new” it is pretty easy to see from the skulls in the previous picture, this seller is also lying about used Tibetan goods. Please also the see the examples below. An entire shop, entirely full of used rosary beads and cross being lied about- this is what elegantmedical is. I’m not sure if the shop name is a reference to plastic surgery or? Scary! On the cross above the Chinese have collected enough of them- an imported antique model it looks like- to give multiple copies to different dealers. They then often use the exact same photo that the Communist party may give to them along with the objects in their auctions. Or the same person runs multiple shops using the same photographs.